This gripper is made of Aluminium and with 800g clamping force. With the built-in sensor feedback module, it allows you to pick-n-place objects with planar or non-planar surfaces and inflated objects without damaging them. 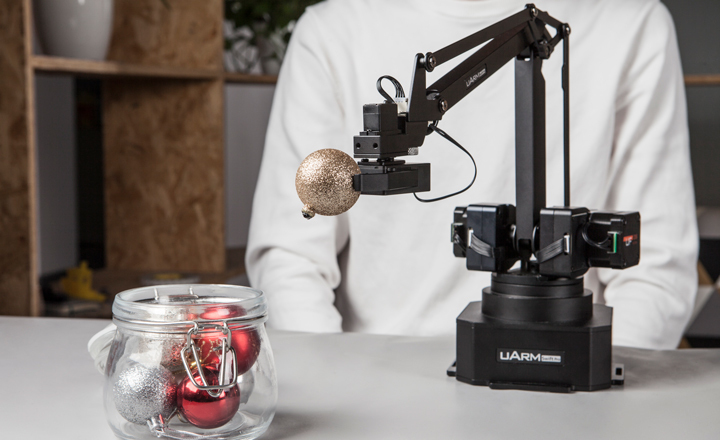 With the help of the exclusive uArm studio, this gripper can be easily set up. The metallic gripper comes with a grasp range of 0 to 40mm, it can grasp objects as slim as a needle or as big as a cup. 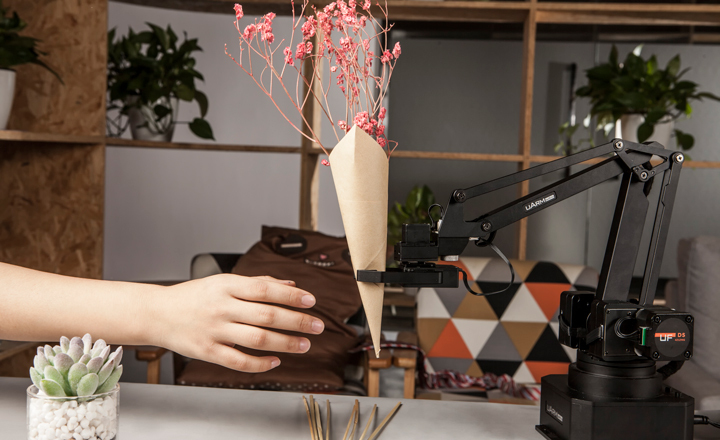 The built-in sensor feedback module enables uArm to interact with the environment in real-time. 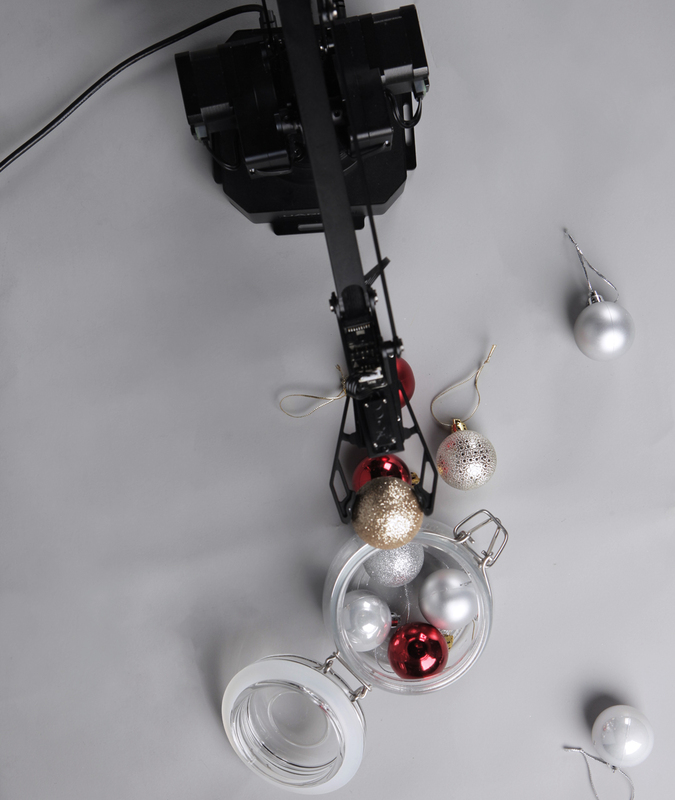 Unlike the suction cup, this gripper is designed to maximize the operationality and handle objects with planar or non-planar surfaces, or even inflated objects. A layer of rubber is added to the robotic arm to increase the friction and enhance the gripping stability. It is a metallic gripper and you can set the gripper movement path with programming languages. 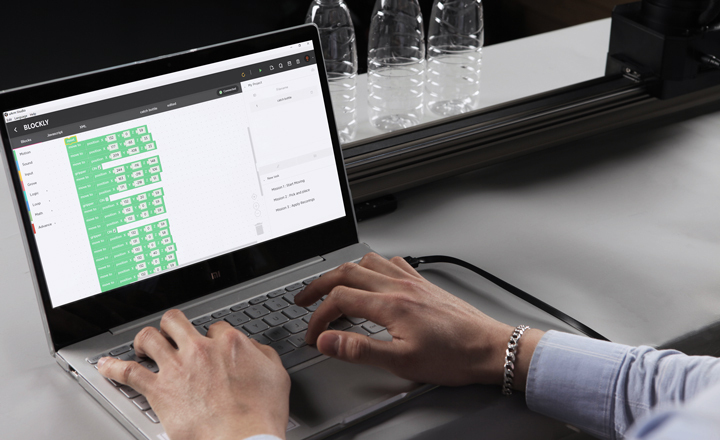 You can also control gripper movements with a simple click that we've simplified the process by allowing users to program with our uArm Studio software.